Microsoft released an update for users of Windows Live Mail 2012 on Windows 10, but that update killed the program. Here’s why it might be time to move on. People running Windows Essentials 2012 on Windows 10 received an email from the Outlook team yesterday informing them of an update for the bundled Windows Live Mail 2012 application required to continue sending and receiving emails on Windows 10. However, the update ended up crashing Mail 2012 for a lot of people. Here’s a look at what happened, and why you might just be better off moving on to modern and supported apps if you’re using Windows 10. 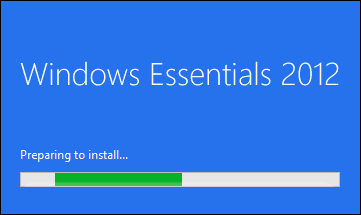 Microsoft’s advice at this point is not to install the update, and if you have, uninstall it. It’s also recommending that users just switch to the Mail app included in Windows 10 or 8.1 if you’re still on that. There are also a couple of other workarounds you might want to try. Apparently the issue is being caused by calendar synchronization, and if you disable calendar sync, Live Mail 2012 will work without issues. Another option that has been reported to work is to run Live Mail 2012 in Compatibility mode for Windows 8. We’ll continue to keep following this, and if you want to keep up with the news, we suggest following this Microsoft Community Thread. Microsoft launched its Windows Live Wave of services in 2005 building and services extension to the Windows desktop. The Windows Live Essentials suite was developed to compliment those services and was largely a competitor to Apple’s iLife suite. The suite includes Windows Live MovieMaker, Writer, PhotoGallery, Mail, OneDrive, and Skype. Many of these built-in apps are no longer developed with exception to OneDrive and Skype, which are built into Windows 10. Windows Live Writer recently got a new lease on life from a group of volunteers who are working on Open Live Writer. But in the end, if you’re still using these legacy services, and plan on upgrading to Windows 10, your best option is to migrate to the built-in apps or find new supported programs. OK, so if I use windows 8.1 is it safe and should I down load the KB3093594 so I can continue to receive my mail through WLM? I had problems with Live Mail after the update – it wouldn’t connect with the server at all. As the Win 10 Mail app is inferior (no word wrapping to window for a start – wtf? ), I persisted and found a solution that worked for me. Uninstall the Live Mail app via Programs/uninstall/Windows Essential, and then install. It then synced both Mail and Calendar successfully, but was missing some folders. I removed the email account and added it again, and it now works as it did before this debacle. If I didn’t know better, it’s as if MS are pushing us towards their still-in-beta-as-far-as-I’m-concerned Win !0 mail app…. i would agree with your last comment. there will be reasons to sabotage it. The windows 10 email programs are HORRIBLE. Did they also change the outlook that you pay and arm and a leg for? Would hate to pay that price and find out they made it just like the crap they are expecting us to use. And the crappy thing does not like my email account. I have had this same one for 20 years. I have the gmail because of my phone. I have the Microsoft sign in web email for my computer. I don’t want to have it out in the cloud or do the web mail crap. I want to download it to my computer so I can do with it what I care not what they care! Just like their stupid photo programs deciding how I MUST sort my photos. It should default to port 993. Outgoing, smtp-mail.outlook.com, port 587. The only way I could set this was by selecting manual server setup somewhere in the process of creating a new email account. This was a critical item for me. I believe there is another protocol other than IMAP that also works for outlook, but can’t find it right now. That might even be better than IMAP. Of course, after going through this and getting Live Mail 2012 back in operation, I now have to wait for thousands of old emails I had kept to download back into my inbox, sent folder, and drafts. And, for this, my processor is being overworked and the fan is howling. This whole thing just infuriates me, it has to be totally unnecessary and a pure function of Microsoft disregard and incompetence. Wish I could sue them for my time and damage to my personal property. Thank you for posting regarding this. I have spent days trying to find my contacts, which seem to have been lost. I share your feelings of wanting to sue them for time!!!!! and at this point, harassment. For months I have been receiving notices from Microsoft to update to Win 10. I was not happy with Win 8.1 but now it seems like a vacation. I just want my computer back, the ability to send emails without scrambling for the contact email address, and generally be stressed and frustrated. I have just enough experience to be dangerous, apparently, because I have no idea how to fix this nor how to fix it without causing more damage to my computer. A friend suggested that you get what you pay for and perhaps the upgrade Win 10 is a smaller version of the version for sale. I have delayed getting a new computer because of this issue. I need to use my existing Windows Live Mail email contacts and my many email folders – that I have created over the last 6 years. Additionally, I do not want to run an unsupported version of Windows Live Mail – where I may experience problems in the future. My question … is there an easy way to convert my Windows Live “Contacts” and “E-mail Folders” to make them compatible with the Windows 10 versions of contacts and folders. Very frustrating. I have been with Hotmail since 1998 but tired of not being able to log in to access when I need to get to info in my account. Just going to migrate ALL of my folders and files out and start using another email provider. Unfortunate that will have to start over with a new email address after all these years because no one can fix this and or put the word out to help people fix it — and sending it to our email which we can’t access is just not very helpful! Sorry to hear the problems for Laura, Jim O and Gni Teid. For your information, as I explained above, I have been able to continue with my old hotmail account in Windows Live Mail via the process above. However, I also added the hotmail account to my Thunderbird client. That works well enough also, although I have had some problems with my contact list. Here is the server that works for my old hotmail account: imap-mail.outlook.com The port is 993. Along with the live mail problems, I also upgraded my 5 year old Toshiba Satellite with Windows 10 in December. That caused several irritating problems, one of which I just managed to straighten out a few days ago. The upgrade deleted my printer drivers, which took my time to reinstall. My scanner driver was trashed, I had to reinstall that. Worst of all, my speaker and headphone drivers were replaced by a generic windows driver, which did not work. Every time I booted up, I had to run the audio troubleshooter to get my speakers to work. Every time. The headphones would not work when plugged in unless I went to the speakers icon and deliberately selected them as default output. Then, the speakers wouldn’t work when I unplugged the headphones, unless I went back and manually reset them as default. Incredible. Finally, the other day, I found the original 2010 audio drivers on the Toshiba web site, installed them, rebooted a couple times, and now speakers and headphones work as intended. Microsoft is a miserable, worthless company with zero regard for consumers. Everything I read keeps referring to this issue with Windows Live Mail 2012, and as was highlight above M$’s only comment on previous versions is that they are “non-supported”. What I want to know is will they work or not? Is it only the 2012 version that is effected. When it comes to M$ Support you are pretty much on your own anyway so who cares if the previous versions are supported or not. I am running Win 7 on all my machines (18 unit) because I feel it is stable, whereas 8 and 10 are still battling through beta testing (in my opinion). I do not want to upgrade my machines to 10 or to use the M$ Mail App. Just asking cause I cant find the answer anywhere. As an update, Version 2011 WLM still works perfectly fine. As a further Update, Version WLM 2011 does not work anymore either. M$ has updated the Hotmail (outlook, live) accounts now and WLM is not working with POP3. It does however work with IMAP set up for Hotmail accounts (it just wont sync calendars). The only problem is that WLM is a crap program when running IMAP. Messages keep getting sent to the wrong folders, read messages change to unread messages again, its just a mess. Time to look for a new Email Client me thinks. Interesting information when I read any posts. The problem is M$ and has been for many years. They have to design new systems to keep getting richer. New systems that they say a better are not and you have to learn all over again. M$ is out for themselves and not the consumer. M$ wants everyone to BUY$$$ Outlook email client – that seems to be the only option to get “send to” and other integrations with non-M$ calendaring software! So nice of them to force what used to work to something that is way over priced for a POP-IMAP email client! STUPID to say the least. but the Calendar does not send back to the mail a reminder message. The reminder area on the Calendar has a red circle with a horizontal white line thru it. The problem is that the mail went to the now defunct Delta synch Outlook. com server. If you can get your WLM 12 to open and right click on the name of the parent mail folder (msn.com for me) left centre screen area, then properties, you can substitute the delta synch server address with the internet browser connection https://blu178.mail.live.com/default.aspx and all works fine as before. You can mark up the Calendar, just missing that ‘late to meeting’ reminder function. You may have to log in with your MS user name and password, but for me the Norton Vault auto writes this and I never get asked or a cookie is left behind on the PC, regardless it just works. The Windows 10 Mail app. is just junk. It may well be fine on a small phone screen, but on a PC/Laptop it looks like it was designed by a 5 year old – as does all of Windows 10, I’ve never seen anything so badly designed! Just how old is your design team Microsoft – all teenagers or younger? The mail program included with Win 10 does not “sync” my emails. In other words they are no longer saved anywhere as they were in Live Mail. I have had it and am switching to Mac permanently. So long Microsoft, BH’s. I couldn’t install Windows Live Mail from Windows Essentials 2012 installer on my computer, the installer occurred Error: 0x800c0006. I’m using Windows 10 professional.